Buying fish can be a slippery business for the ethically conscious shopper. So Rachel Walker asks conservationist Andy Sharpless, CEO of Oceana, to reduce the reams of advice that’s out there to a few simple rules. What a relief. Like many, I’m aware that the oceans are not a limitless resource. They need to be carefully managed, and we as consumers need to make the right choices about what we eat from them. Knowing this much is one thing, but knowing how to act on it is another. Luckily, I’ve pinned down Andy for a one-on-one chat, to ask his advice. As CEO of the largest international advocacy organisation focused solely on ocean conservation, with offices all over the world, his expertise and knowledge is vast. I’m worried that his advice will involve me burying my nose in species-identification books and subscribing to industry publications. But I couldn’t have been more wrong: his advice is clear as a bell. We’re not talking about young fish here, rather species that never grow big. “Think of it like eating rabbits instead of tigers,” says Andy. Just as it’s much more likely that rabbits will be more abundant than tigers, so it is with fish. In the UK, 80% of the seafood we eat comes from a group known as “the big five”: cod, haddock, tuna, salmon and prawns. With the exception of prawns, the list is made up of top-of-the-food-chain fish. “They require a lot of resources and time to grow to maturity, which is rarely a characteristic of a resilient and sustainable species,” says Andy. 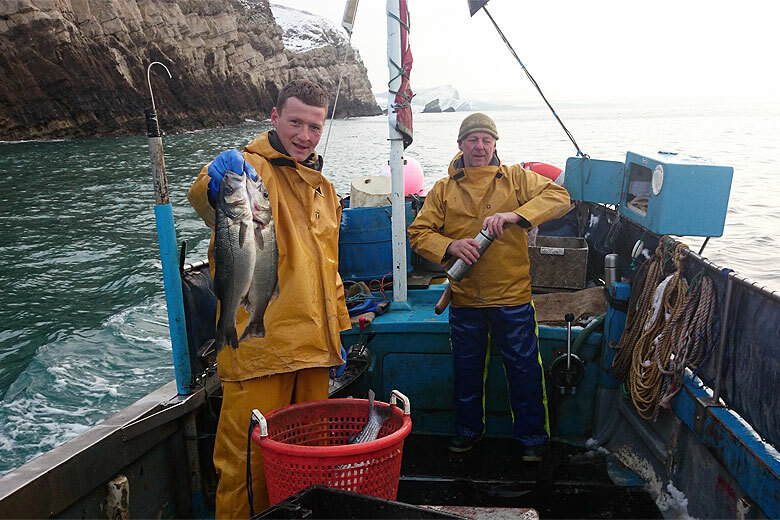 Compare a cod, which can grow up to 150cm and 40kg in weight, to a little mackerel or herring whose minimum landing size is 20cm, or indeed the tiny sprats pictured above, and it’s clear which species is capable of replenishing its stocks more quickly. Eating local is generally a good idea for lots of reasons: the food is often fresher and more seasonal, it’s travelled fewer air miles, and you’re pumping money back into local economies too. And when it comes to seafood, there’s an added benefit. 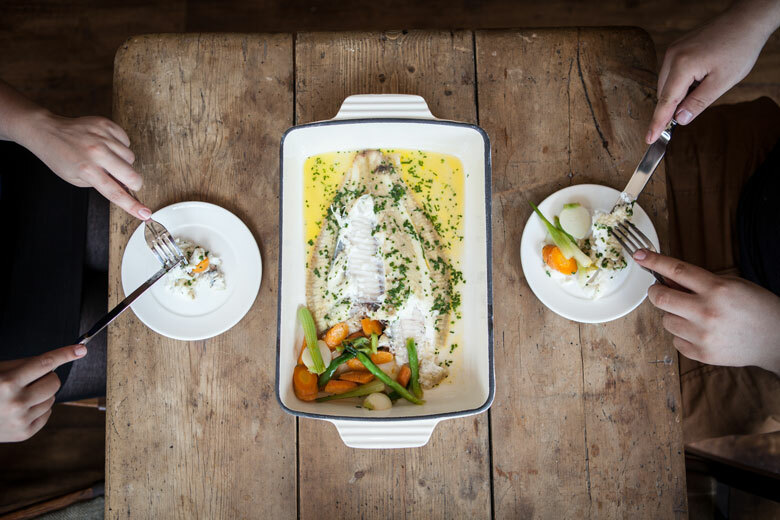 When it comes to researching the sustainability and seasonality of seafood, there’s a lot of advice out there – much of which is complex and even conflicting. Andy’s advice is not to strive for perfection. “Don’t obsess over the disagreements,” he says. 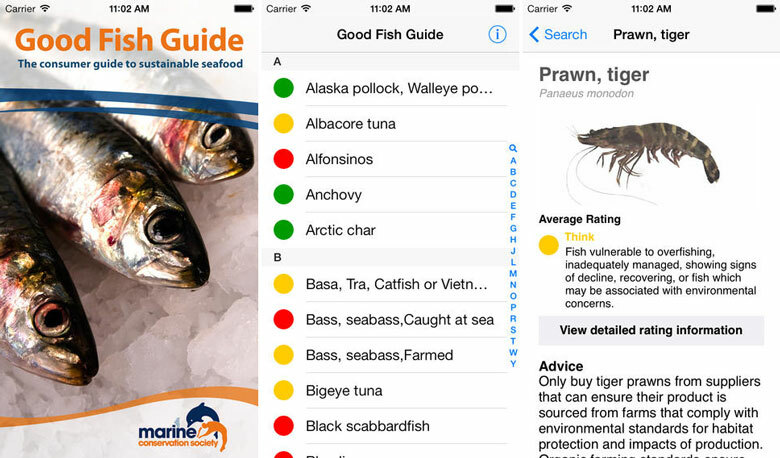 “Pick one guide which is responsible and stick to it.” As an example, he recommends the Marine Conservation Society guide, which is also available as a neat app. Again, even if this, or any other guide, might not be right every time, it’s important to have a basis to work from. – The key for Andy is simplicity. 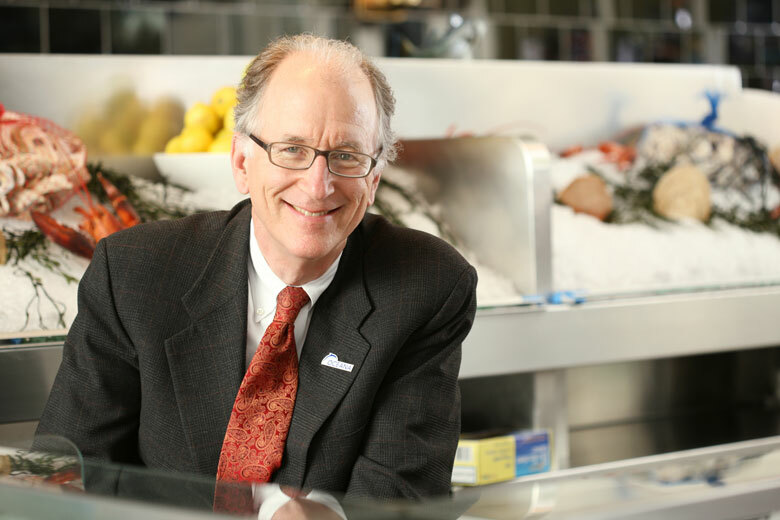 As we’re about to part ways, he quotes Michael Pollan, the journalist and activist, who famously summarised his approach to food in seven short words: “Eat food. Not too much. Mostly plants.” Andy smiles. “I suppose if you really pressed us, we could come up with something similar. 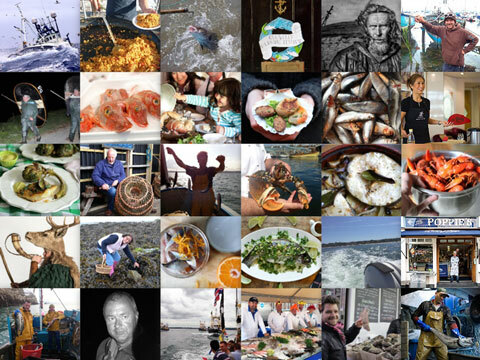 We might say: ‘Eat wild seafood. Not too much of the big fish. Mostly local’.” Simple. 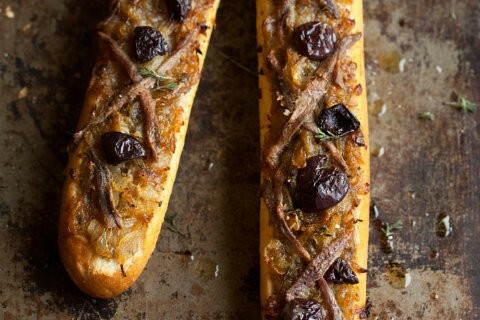 Sam Linsell’s easy-to-make cheat’s version of the classic French dish really shows off salty anchovies at their best, and makes a delicious lunch when eaten just out of the oven or wrapped in tin foil for a packed lunch or picnic. Chefs from 20 of the world’s best restaurants gathered in San Sebastián to pledge to serve the “perfect protein” to “save the oceans and feed the world”. Rachel Walker was there to see it. 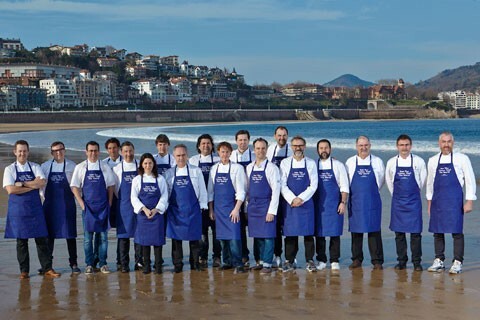 On 17 March, 20 chefs from some of the world’s best restaurants will gather in San Sebastian to publically announce their commitment to Oceana’s global campaign, Save the Oceans: Feed the World.